More guests of the upcoming Anime Festival Asia 2015 in Singapore has been announced. Amongst them include a couple of guest cosplayers to the already huge line-up and of course the guest artistes that will be performing in the Anisong concert. A hybrid rock band that merges several musical genres together. KENJI03’s penetrating melodies, together with TEEDAs mix of English and Japanese rap as the main axis, the 4-man ban continues to pursue a new Rock sound. From the time the band was formed, they have been performing live overseas, in countries such as USA, Germany, Canada and Taiwan, receive high praise for their aggressive performances, Most recently in July 2015, they had an attendance of 4000 at Japan Expo in Paris. They were the performing artiste for opening theme songs to GUNDAM BUILD FIGHTERS, “Nibun no Ichi” and ” wimp ft. Lil’ Fang (from FAKY)” as well as GUNDAM BUILD FIGHTERS TRY, ” Cerulean”. Being the theme song artiste for 3 consecutive songs for Gundam works is an exceptional accomplishment. With the success of their solo concert at Akasaka Blitz in October 2014, they are embarking on their 2nd Japan Tour from November 2015. A music unit composed of MARiA, a female vocalist and toku, a music composer. Toku, a music composer/sound producer who wrote and arranged hit songs of Angela Aki, LiSA, An Café and others. MARiA, an internet born singer who performs with several musicians such as Jin(vocaloid producer), as guest vocal. The videos MARiA has uploaded on the internet have exceeded 2 million views. Her professional skill as a singer cultivates her reputation. Besides, she can also dance and her activities are diverse. Her first video as a dancer “Girls” reached the 1 million views. Meanwhile toku the composer, his signature song “SPiCa” has also reached 1 million views on the internet, and the total views of all his songs exceeds 10 million views. Their collaborative song “COLOR” they have made before forming GARNiDELiA was chosen to be the theme song for the famous anime “Freezing”. While their diverse activities are attracting a lot of attention, their major debut in spring 2014 has been decided with their new single “ambiguous” which was the opening song of the popular anime “Kill la Kill”. 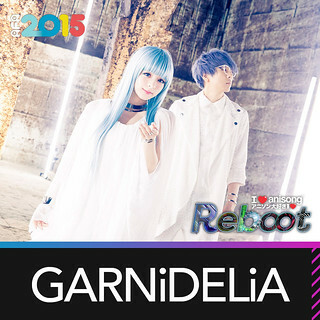 Right after their major debut, their song was used as a theme song for the anime called “MEKAKUCITY ACTORS” as Jin ft. MARiA from GARNiDELiA”.In July 2014, their second single “grilletto” was for “The irregular at magic high school”, in October, “BLAZING” was for “Reconguista in G”, both songs were used as a theme song for those anime titles. They have achieved that their songs were used as a theme song for such popular anime titles in 4 seasons in a row. In January 2015, much-anticipated 1st full album was released and their new single “MIRAI” will be out on May 13 which is also a theme song for the anime “Gunslinger Stratos”. The origin of GARNiDELiA: The name GARNiDELiA is an anagram of Le Palais Garnier de Maria, which means “Maria’s Opera House, her place to sing” and Cordelia, which is the name of the asteroid discovered in toku’s birth year. Composer/Keyboard: toku; Born March 5 / Blood type O / Height 179cm From his junior high school days, toku became interested in Italian classical music, and focused his attention on studying vocal music. He then changed his focus to music arrangement in 2001. He has worked on songs such as LiSA’s “oath sign”, “crossing field”, “LOVER”S”MiLE”, and the song from the anime, “Ano Hi Mita Hana no Namae o Bokutachi wa Mada Shiranai. (Anohana)” called “secret base – Kimi Ga Kureta Mono – (10 years after Ver.)”. He has also arranged music for a wide variety of genres including J-POP, Visual-Kei and Anime, and has worked with famous artists such as Angela Aki, LiSA, An Cafe, Kana Uemura and Dir en Grey. Vocal: MARiA; Born January 31 / Blood type B / Height 152cm She began singing and dancing from a young age, and started performing from age 13. Contrary to her cool voice, she has a very energetic and cheerful character. Her appearance makes her look like someone of mixed parentage, but she is purely Japanese, coming from Ibaraki prefecture. MARiA was performing with a 6-member teen Jazz vocal group called Chix Chicks, but they disbanded in 2010. By the age of 21, she has already 11 years of experience as a performer. As a solo artist, she has performed in the concerts of the famous vocaloid producer, Jin at Yokohama Blitz and Zepp DiverCity Tokyo two consecutive times. HoneyWorks is the Creator Unit which consists of Producer/Music composer Gom/shito and Illustrator Yamako. Their music has been described as ‘postive’ rock, centering on the sense of youth and pulling on heartstrings. In January 2014, their major label debut, the Vocaloid best album “Zutto mae kara Suki deshita”, and charted on the Oricon Weekly chart at number 4. In May, the collaboration unit “CHiCO with HoneyWorks” began, teaming up with CHiCO, who shone at the Utakatsu! Grand Prix, the nationwide audition centering on Vocaloid and Anisongs. In November 2014, their 2nd album, ‘Boku ja Dame desuka?’ peaked at 2nd on the Oricon daily charts, and also attained 4th place on the Weekly chart. At Amazon’s ranking awards for the first half in 2015, they attained top placing in the Anime music category. Their 3rd album, ‘Suki ni naru sono Shunkan wo’, released July 2015, also attained 4th place on the Oricon Weekly charts. CHiCO with HoneyWorks: CHiCO, is the winner of the Vocaloid and Anisong audition Utakatsu! organised by Sony Music. Together with HoneyWorks, the group responsible for the smash hits with their major debut and 2nd album ‘Zutto mae kara Suki deshita’ and ‘Boku ja Dame desuka?’, the collaboration unit CHiCO with HoneyWorks is formed! Their debut single, was the opening theme to the TV anime Aoharu Ride. The music video produced by HoneyWorks has gotten great attention, amassing more than 22 million views combined on YouTube and Nico Nico Douga. Riding on this attention, their anticpated second single was released in February 2015, and is also the opening theme for the second season of Magic Kaito 1412. The HoneyWorks sound of digital rock that tugs at your heartstrings is something not to be missed. 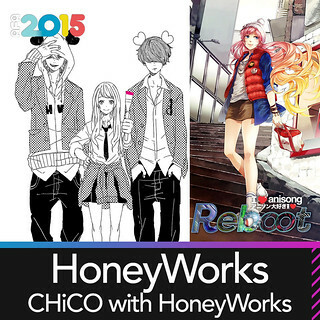 2015 is the year where you can’t take your eyes off CHiCO with HoneyWorks! Her solo piano and singing performance tours have not only spread from Tokyo to the rest of Japan, but to also Europe and other countries. She has earned much acclaim as a powerful live artist. She is also well respected as a vocalist, having contributed to multiple soundtracks, including for the anime Shingeki no Kyojin, Gundam UC, Guilty Crown, and Ao no Exorcist; the television series Iryu 3, and Mare; and the movie Platinum Data. 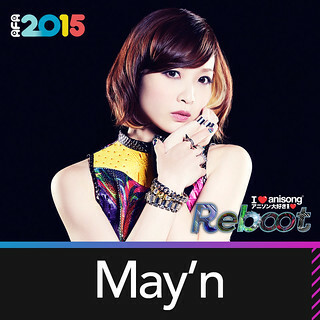 The artist “May’n” is derived from her real name, and it demonstrates her hope to always “sing songs that will be everyone’s main theme.” In 2008, She performed as a singing voice of Diva of the Galaxy, Sheryl Norm, in the TV anime “Macross Frontier.” She released 2 singles in the same year which instantly became big hit, each placing in the Top 3 on the Oricon Weekly Chart. The mini-album “May’n Street” released in January 2009, was achieved the 2 nd place on the Oricon Weekly Chart, since that, all of May’n’s releases have consistently entered the top music sales charts. Her acoustic tour is scheduled from May 2013, followed by her hall tour starting from October 2013. In 2014, “Kyo ni koiiro”, the opening tune of TV anime “Inari KonKon Koi iroha” and her 4 th album “NEW WORLD” was released at the same time. From February 23 started “May’n Road to 10th Anniversary Japan & World Tour “dots and lines”” which is her longest tour covering Indonesia, Singapore, Taiwan, Los Angeles, San Francisco, Korea, China and all 47 prefectures in Japan, with over 70 performances over a 1 year period. In July 2015, she release ‘Yamai Dare darlin”, the opening theme song to Aquarion Logos. The following month, her 10th anniversary concert was held at the Nippon Budokan, with her compilation album ‘POWERS OF VOICE’ released on the same day. Born July 12 in New York, America, nano is bilingual, fluent in both English and Japanese and paired with an outstanding singing ability. Since the posting of western music covers in video sites like youtube, nano has garnered the support of many users around the world. In March 2012, “nanoir” was released, despite being nano’s debut album, it ranked 10th on release date within the Japanese music chart, a surprising result for a rookie. Adding on to the success, “Remember your color”, nano’s first live, sold out all 2500 tickets on the first day. The same year in May, nano attended “DoKomi” a Japanese culture convention in Dusseldorf, Germany and attracted 1500 packing the venue to it’s limit. 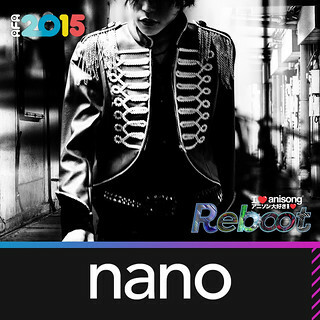 In 2015, nano’s latest album “Rock on” was released in January, ranking 6th on the charts and in April, the first overseas solo performance in Taiwan as part of nano’s annual live tour around Japan. nano’s popularity knows no bound and this singing voice doesn’t have any borders. Tetsuro Shimaguchi was born in Saitama prefecture in Japan and graduated from Nihon University College of Arts. 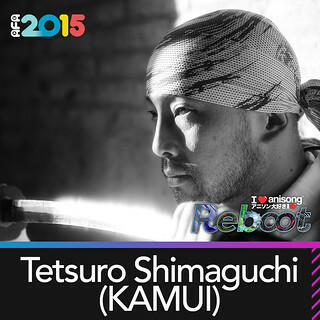 After a lot of experience in theater activities such as kabuki, he established “Kengishu Kamui” and heads up a team. He is a “Samurai Sword Artist” pursuing mixed styles such as beauty of form, acting, and martial arts. One of his major accomplishments as an actor was performing as Crazy 88’s “MIKI”, as well as directing the choreography in “KILL BILL Vol. 1” a film by Quentin Tarantino. Among other achievements: he led the KAMUI Tour in the US including a performance in the John F. Kennedy Center in Washington, DC, “CHANBARA”, “SAMURAI SPIRIT” performances in Edinburgh, Europe tours in places such as Teatre della Pergola in Italy, plentiful dinner shows in Hyatt Hotels and Sheraton Hotels, and performed main roles in short movies. He also choreographs performances in Meijiza, “CLAUDIA”, “HUMANITY”, and “HOSHINO DAICHI NI FURU NAMIDA” performed by Chikyu Gorgeous, and “JIROCHO-SANGOKUSHI” a film by Masahiko Makino. In these days, media networks in the US and Europe feature his works, and he advocates for the promotion of SAMURAI culture. He has his certification as a master of Nanaougi-ryu classical Japanese dance, and he excels in Shinkageryu-Kenjutsu and Karate. In 2012, he established the original samurai dojo, “Kengido”. Starting piano from the age of 3, she graduated from a music university, majoring in piano. While studying classical music, she was also exposed to a wide range of popular music genres, including rock, R&B, and hip-hop. She decided to pursue being an anisong singer upon finding out about it when she heard it playing on TV while in school. In 2012, she made her debut as a creator with a character song for the TV anime “Mirai Nikki”. The same year, in October, she then made her debut as a singer with the opening theme song to the TV anime “Chuunibyou demo Koi ga Shitai!”. From then on, she has been in charge of theme songs to many TV anime. Immersed in the world view of her works, her own delusions and the fantasies in the lyrics, her personal reality is represented. With her uniqueness as an arranger, sound producer, as well as being a singer-songwriter, she is aiming to be an artiste that sets the new ‘mainstream’ in anisong. In October 2015, she will release ‘Katararezutomo’, the opening theme to Concrete Revolutio. Her live tour ‘KURUIZAQ’ will be held in November in Tokyo, Osaka and Nagoya. 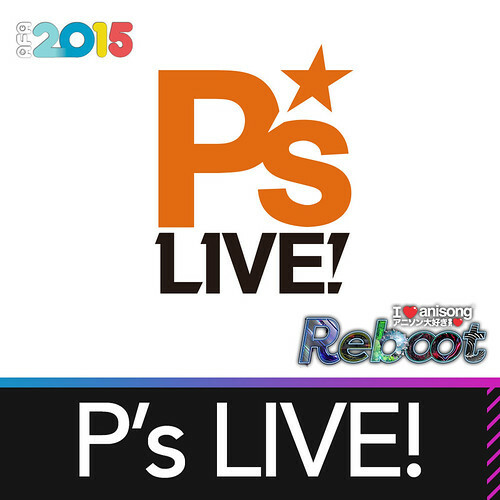 Pony Canyon’s all-star cast of voice actresses and artistes welcomes you to P’s LIVE!, an exceptionally diverse and excitement-filled event where you can enjoy anime, anisong live concerts, talk shows, and many more! Presented by SAIKO+, Baozi will greet his league of fans at Anime Festival Asia! Sweet and charismatic, Baozi is a prop wizard who enjoys making props for cosplay. Presented by SAIKO+, Hana will meet his wave of fans at Anime Festival Asia too! The adorable Hana is skilful with the make-up brush and takes pride in the make-up of his cosplays. Both Baozi and Hana are frequent judges and guests at overseas events including their homeland, China. 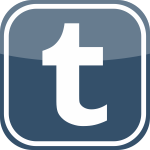 This entry was posted on 26th October, 2015 by yunamon. It was filed under AFA15 and was tagged with AFA, AFA15, Anime, Anime Festival Asia, BACK-ON, Baozi, CHiCO, Concert, Cosplay, Endo Yurika, Event, Figures, GARNiDELiA, Hana, Hanamori Yumiri, HoneyWorks, I Love Anisong, KAMUI, Kobayashi Mika, May'n, MICHI, Mikami Shiori, Mimori Suzuko, nano, Otaku, Seiyuu, Shimaguchi Tetsuro, Singapore, Taketatsu Ayana, Trip, Uchida Maaya, ZAQ.